more than 25% of freshwater fish in the United States. 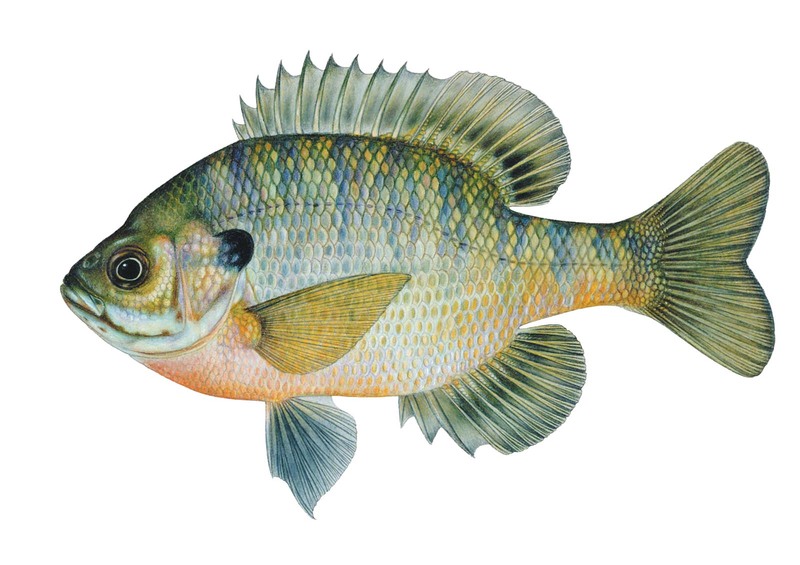 Warmwater fish thrive in summer water temperatures greater than 70 ° F.
Coolwater fish thrive in summer water temperatures 65-70° F.
Coldwater fish thrive in summer water temperatures less than 65° F.
Habitat influences the species and numbers of fish found in a waterway. If habitat meets a fish’s needs, it can survive there. If it doesn’t, it won’t be found there. Generally, streams are cooler at their headwaters, then become warmer as they widen and absorb sunlight. A larger stream typically supports more fish species if conditions permit. 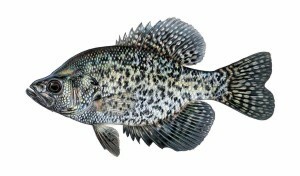 Fish on this page are examples of species found in Upper Mississippi River Basin streams.